North Korea published a series of propaganda photos, claiming that dictator Kim Jong Un climbed a 9,000-foot-tall snow-packed Mount Paektu while wearing only leather shoes. According to North Korean state-run media, Kim braved the snow and frigid temperatures of -4 degrees Fahrenheit. There was also a blizzard on the peak, but Kim was able to “control the weather,” state-run media claimed, as reported by the Evening Standard. 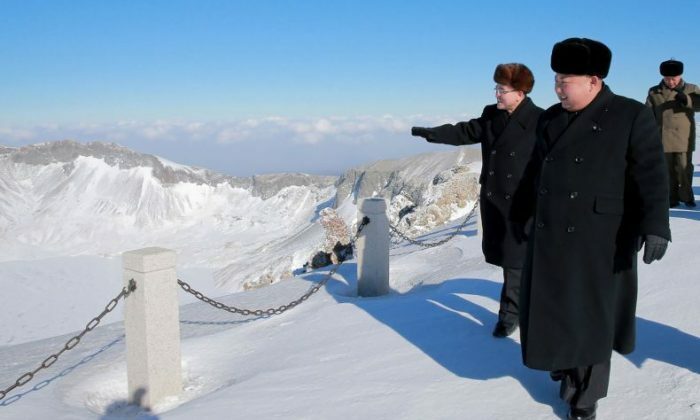 One photo (seen above) that was published online shows Kim walking on a mountain with two other North Korean officials. 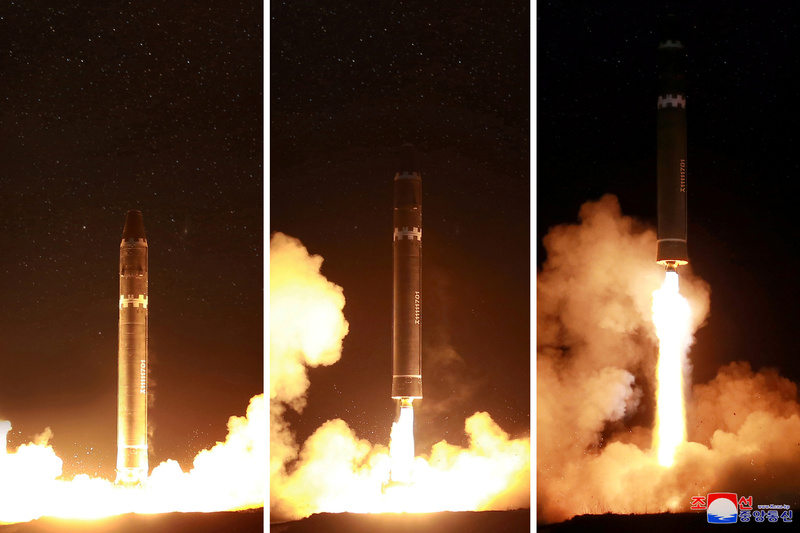 However, it doesn’t appear that Kim or the officials left any footprints in the snow, suggesting that the images were doctored via photo-editing software like Photoshop. North Korean state media said that Kim climbed the mountain two years ago. Fox News reported that he allegedly climbed Paektu, called the “sublime mountain of revolution,” to celebrate the isolated, communist nation’s Nov. 29 missile launch. “Imposingly standing on Janggun Peak, the respected Supreme Leader gave a familiar look for a while at the dizzy cliffs and the sea of trees, recalling the emotion-charged days when he realized the great historic cause of completing the state nuclear force without yielding even a moment and with the indomitable faith and will of Paektu,” state-run media said. 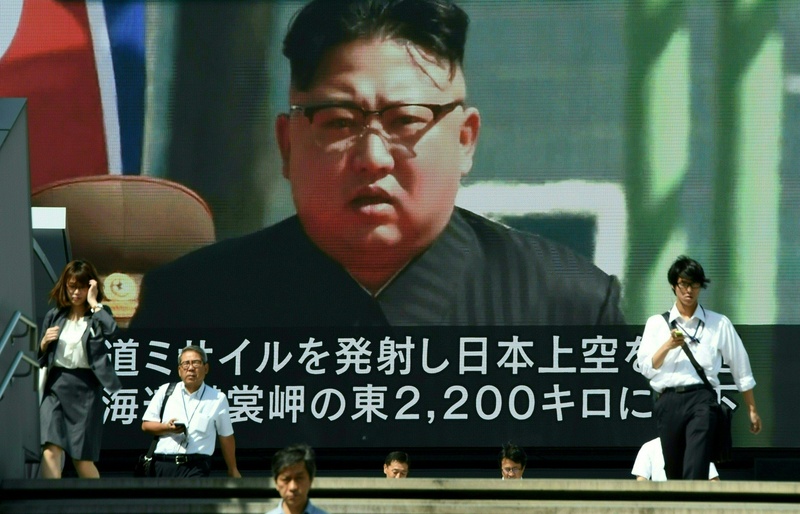 Pedestrians walk in front of a large video screen in Tokyo broadcasting a news report showing North Korean leader Kim Jong-Un, following a North Korean missile test that passed over Japan on September 15, 2017. Paektu is featured prominently in North Korean propaganda and is featured as part of the Kim family’s cult of personality. According to Pyongyang’s propaganda, Kim Jong Un’s father, Kim Jong Il, is said to have been born on Mount Paektu. His birth was marked by winter changing to spring while a star illuminated the sky and a double rainbow spontaneously appeared.